With springtime just around the corner it is time to start beautifying those drab outdoor areas you have been neglecting all winter long. Our cheap backyard ideas and pictures will help inspire you to break out those gardening gloves and breathe life back into exterior spaces without draining your wallet. Whether you are looking for inexpensive flower ideas for your backyard gardens or unique and budget friendly ways to update lackluster outdoor gathering areas, our design experts have fabulous tips and tricks to help you create a beautiful and contemporary space. 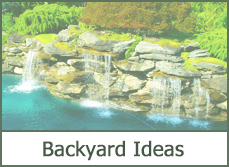 Read ahead to find cheap backyard design projects for DIY landscapers of any experience level that incorporate today’s hottest trends in home decor. Let’s get started transforming your outdoor areas into gorgeous and functional spaces that will make spring and summer months to remember. 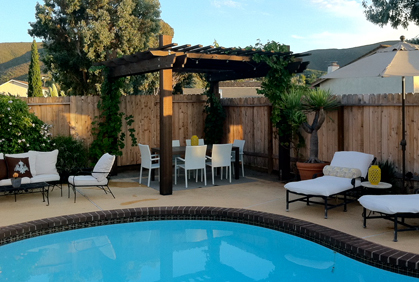 As with any interior or exterior redesign, the first step in cheap backyard makeovers is inspiration. Before breaking ground, check out our pictures of backyard landscaping ideas perfect for any budget or level of expertise. Browse our latest 2016 gardening photo gallery for images that resemble your home’s exterior architectural style, outdoor layout, or vegetation type and pick out unique features that not only represent your personal style, but also have elements that can be translated well into your space. For example, backyard garden designs and pictures featuring beautifully manicured evergreens are a popular look for 2016. 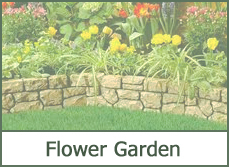 This classic style may not be suited for the dry and arid areas of the Southwest or for a backyard with more concrete than green space. 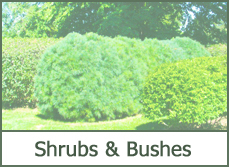 It is important to understand the characteristics unique to your yard in order to maximize its potential. Remember, great outdoor design does not need to drain your wallet. 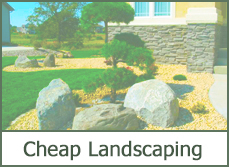 Cheap backyard landscaping on a budget is easy and fun with a few tips and tricks of the trade. First and foremost, do not skimp on style just because you are paying less. 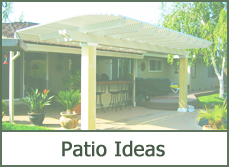 Simple backyard ideas can instantly beautify a space whether you are spending ten dollars or ten thousand dollars. 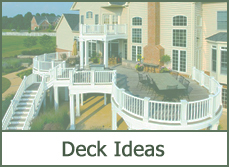 For a quick and inexpensive patio update, fill cheap pots found at your local superstore with bright colorful blooms that coordinate with elements in your home’s architecture. This brightens the space while providing an inexpensive focal point to distract from other untouched areas and especially effective if you are looking for simple small yard design ideas that bring a lot of visual interest without taking up space. 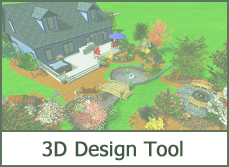 Spend wisely to ensure that these elements make a vivid statement towards inexpensive design plans. One of the most challenging aspects of cheap landscape design is to achieve on budget is creating seating areas. 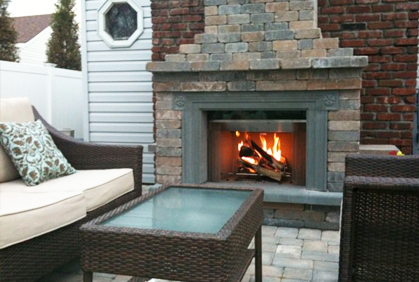 It is important to make exterior spaces not only beautiful but functional as well. Unfortunately, seating arrangements and dining areas can get expensive quickly. 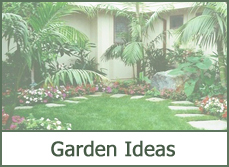 Our outdoor design experts have rounded up the best cheap landscaping ideas to help you beautify backyard furniture or even repurpose inexpensive objects to create unique gathering spaces. When looking for cheap budget-friendly outdoor furniture first browse bargain or second-hand stores. Believe it or not, you can find some fabulous pieces in these unlikely places that can become a unique focal point with nothing more than a coat of spray paint. Look for sturdy furniture with classic lines and little rust. 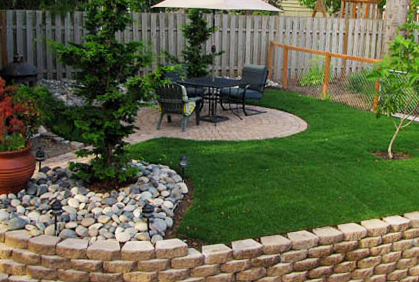 If you are landscaping with rocks you can create unique and inexpensive sitting areas with large boulders or stacked slabs. Not only is this a wonderful organic look to provide overflow seating in a contemporary design, but it can be achieved for very little money as well.